Download the Projetex setup file and retrieve your license keys from your profile at http://clients.translation3000.com , then install Projetex on your new PC. Then activate the program using your serial number. Move the database backup to the new machine and restore your database with it. 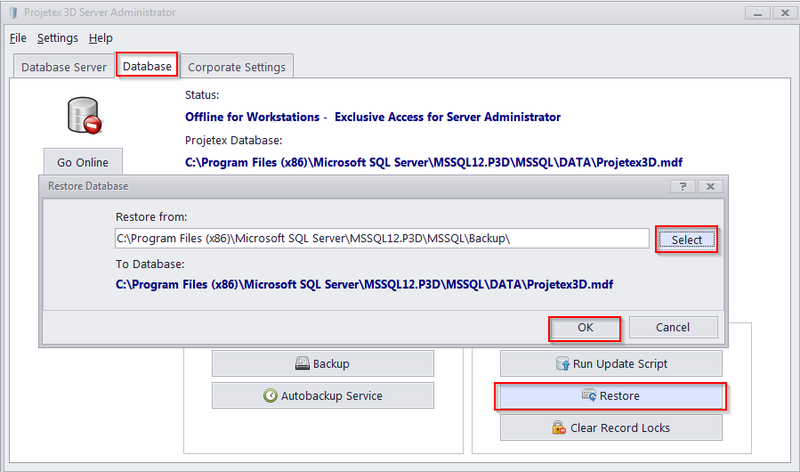 To restore a database, go to Projetex Server Administrator, click the Database tab > Restore button. Also please move the "BusinessServer" folder to your new PC and specify a path to this folder in the Projetex Server Administrator > Corporate Settings tab > Folders > General tab.